Domain.com Coupon Code (2019) - Exclusive 25% OFF! 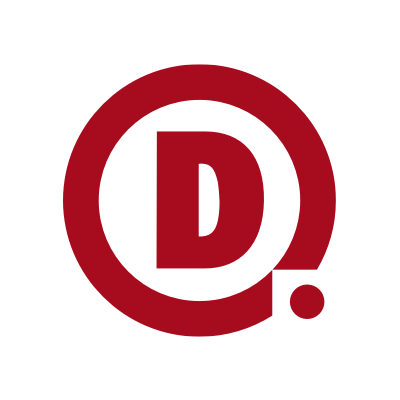 Domain.com is one of the most popular domain registrars in the world. In addition to buying the domain name of your dreams, you can also purchase SSL certificates, domain protection, and a variety of web hosting and website design services. Best of all? You can use our Domain.com coupon code to get 25% OFF your purchases! 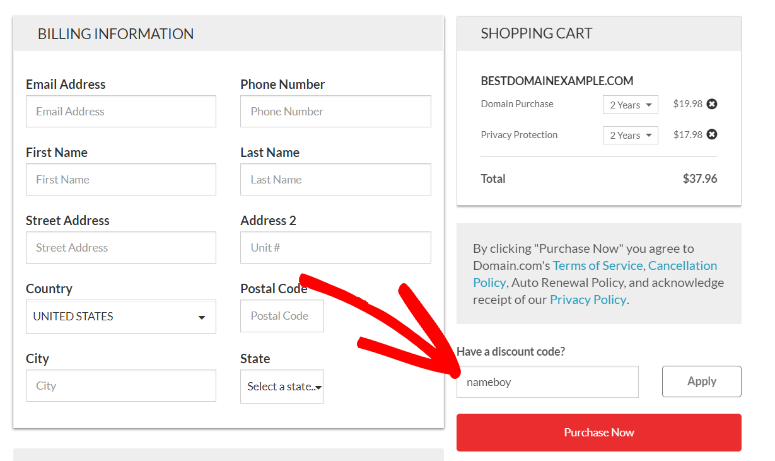 Use our Domain.com coupon code nameboy to get 25% OFF your total! 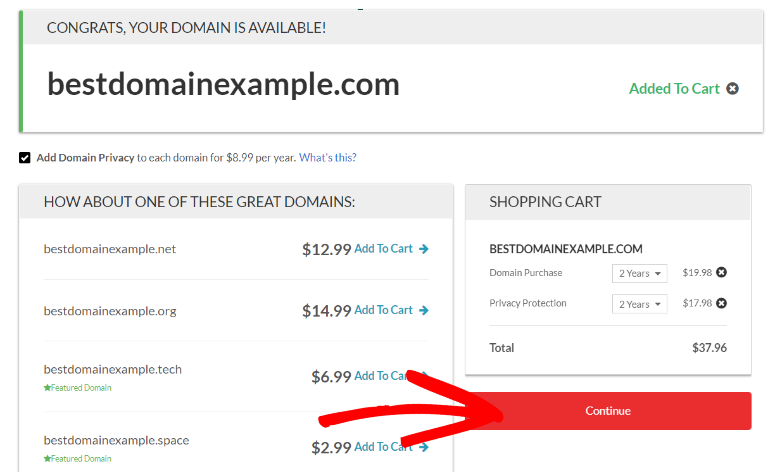 How to use the Domain.com Coupon Code? As an IsItWP user, you can now take advantage of our Domain.com coupon code to take 25% OFF your purchase total. Just follow our instructions below to claim your savings. Note: Domain.com offers many services, including web hosting; however, it’s most famous for being a domain name registrar. 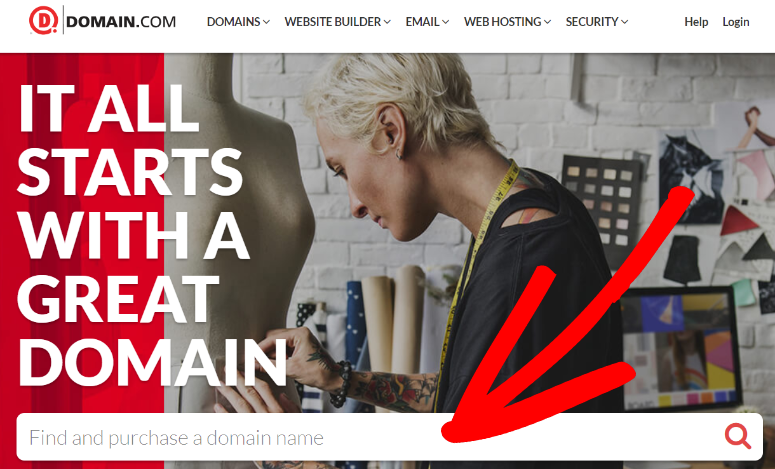 For this guide, we’re working under the assumption you’ll be using our Domain.com coupon code to purchase a new domain name. 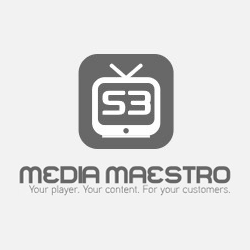 First, use our Domain.com link to head to their official website. From there, type the domain name you want in the search bar on the homepage. Once you find an available domain name, it will automatically be added to your cart. A few suggestions for additional domain names will be shown on the left-hand side of the screen. You can add them to your cart or choose to ignore them. Once you’re satisfied, click Continue. 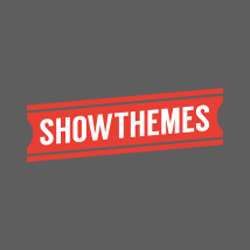 On the following page, you’ll be shown several addons that’re available for purchase. Feel free to ignore them for now, as you can always buy them later, and click Proceed to Billing. Click Apply to have 25% automatically removed from your purchase total. Finally, just fill in your personal information and payment details and click Purchase Now to complete your discounted domain name purchase. We hope you found our Domain.com coupon code helpful. 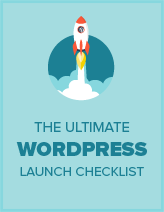 At IsItWP, we pride ourselves on negotiating exclusive deals so our users can get the best prices on the world’s best WordPress products and services. For even more opportunities to save money, check out our other Coupons and Deals!